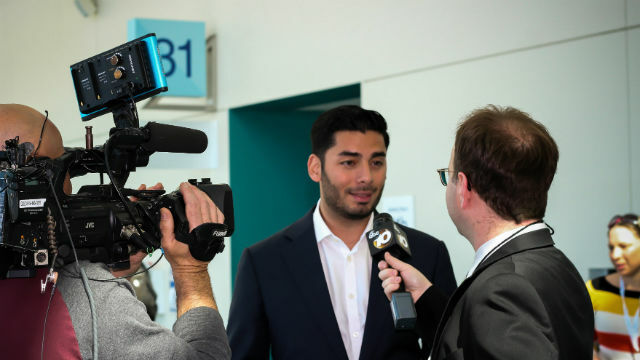 Ammar Campa-Najjar‘s campaign to unseat Rep. Duncan Hunter in East County got a major boost Monday with the announcement that strategist Joe Trippi will serve as media consultant and lead strategist. The news came after Campa-Najjar released an internal poll that shows him virtually tied with Hunter in the district that has been represented by a member of the Hunter family for nearly four decades. The telephone, cellphone and online survey was conducted July 17-23 and showed Hunter with 51 percent and Campa-Najjar with 42 percent. However, after poll respondents were provided with more information about both candidates, the results narrowed to 48 percent for Hunter to 47 percent for Campa-Najjar. Hunter was the first member of Congress to endorse Donald Trump as a candidate for President. Trippi most recently managed Democrat Doug Jones’ victory for the U.S. Senate last year in deeply red Alabama and also guided Gov. Jerry Brown’s successful 2010 gubernatorial campaign against Meg Whitman, despite being outspent on television 4-to-1. Trippi is credited with helping to engineer the groundbreaking use of the Internet to build financial and grassroots support for Vermont Gov. Howard Dean’s 2004 presidential campaign. The 50th District stretches generally west of Interstate 15 and north of Interstate 8 to the Imperial and Riverside county lines and also includes Temecula.